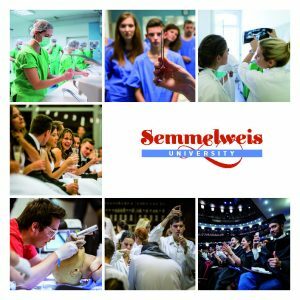 Semmelweis University established the Clinical Centre in order to maintain a seamless and safe patient care strongly connected to medical and health care education, as well as to organise and uninterruptedly provide the highest level of medical care. President of the Clinical Centre – Dr. Attila Szabó, Vice-Rector for Clinical Affairs, responsible for the organisation of the health care service. Semmelweis University’s departments engaging in healing activities, prevention, rehabilitation and other activities closely related to the operation of health care services belong to the Clinical Centre. The President of the Clinical Centre is aided by the Presidency of the Clinical Centre, the Advisory Board of the Clinical Centre and the Extended Advisory Board of the Clinical Centre. The Presidency of the Clinical Centre – an advisory body for the President of the Clinical Centre, providing support regarding professional-strategic and operative management and which is led by the President. The President of the Clinical Centre is also aided by a general Vice President and a Vice President responsible for areas designated by the President. The Advisory Board of the Clinical Centre – the advisory body of the President of the Clinical Centre and the Chancellor regarding financial and professional matters. It has five members, all of them clinicians, who are appointed by the President. The President of the Advisory Board of the Clinical Centre is the President of the Clinical Centre. The Extended Advisory Board of the Clinical Centre – the body including the directors of the University’s departments, the Rector, the Vice-Rector for General Affairs and the deans of the Faculty of Medicine, the Faculty of Dentistry and the Faculty of Pharmacy.